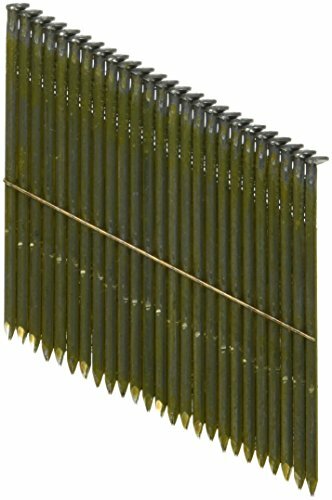 Includes 2000 nails per box, for use in the Freeman 21-Degree full head framer, ring shank, 2.375-Inch long, thick coat galvanized finish. Coated finish eases penetration resistance and increases holding power. Smooth shank geometry delivers acceptable withdrawal capacity when extra holding power is not required. DEWALT DPT-16D131FH 3 1/2" x .131" Paper Tape 30Degree Smooth Bright Off-Set Round Head features an off-set round head to satisfy building code in all regions (ICC-ES ESR-1539 Code Compliant). The nails have a smooth shank with a bright finish, and are designed with a 30 degree paper tape collation (2,000ct). Common applications include Framing, Sheating, and Decking. 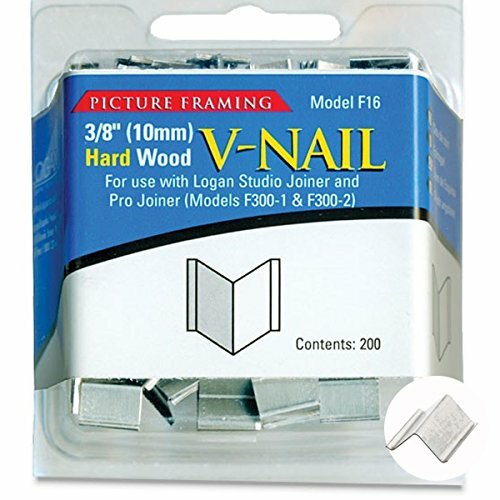 V shaped flat nail for use with Logan F300-1 Studio Joiner and F300-2 Pro Joiners. 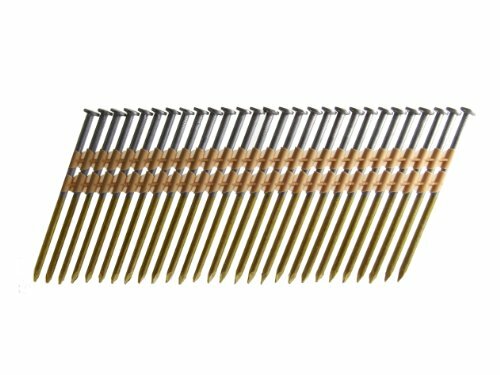 These V-nails will work on most hardwoods. These are packed loose in the package and are not stacked. can be used to join frames, wood pieces and stretcher bars into a perfect 90 degree corner or angle. Glue the two pieces of wood together first, wait for glue to dry, and then use the v-nails to finish the frame or corner so that the nails sink just flush with the wood they are joining. 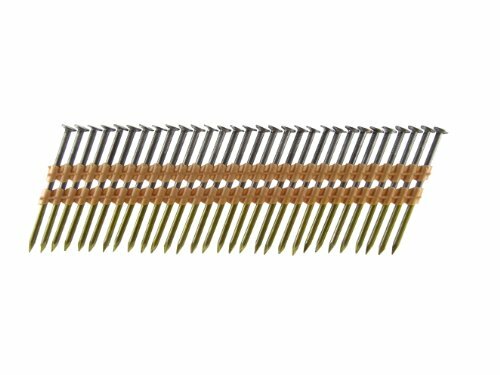 The nails will provide extra support for the corners helping them not to break apart after hanging. 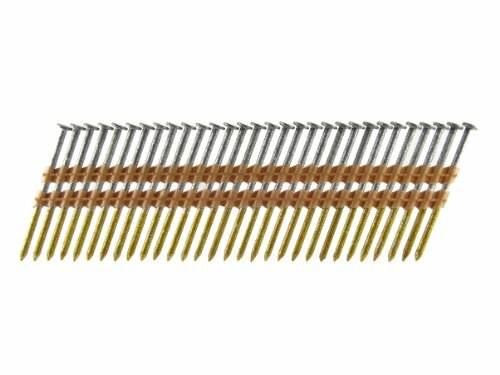 Using v-nails ensures a strong, solid corner on your frame or other project. Studio Joiner and F300-2 Pro Joiner. Compatible with other v-nailing products. DEWALT DPT-10D120FH 3" x .120" Paper Tape 30Degree Smooth Bright Off-Set Round Head features an off-set round head to satisfy building code in all regions (ICC-ES ESR-1539 Code Compliant). 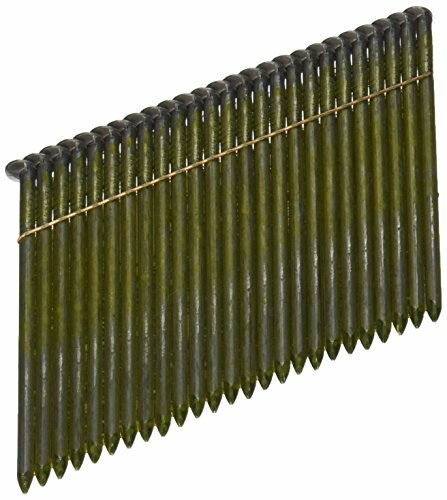 The nails have a smooth shank with a bright finish, and are designed with a 30 degree paper tape collation (2,500ct). Common applications include Framing, Sheating, and Decking. 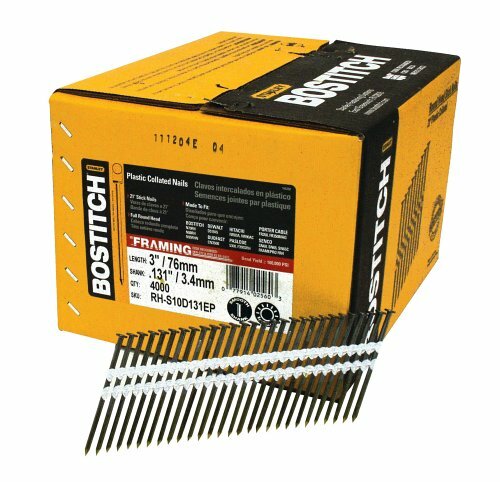 1,000 Count, 1-1/2" x .148, Galvanized Metal Connector Nail, Heat Treated, To Be Used In Bostitch N88RH-2MCN & F21PL. 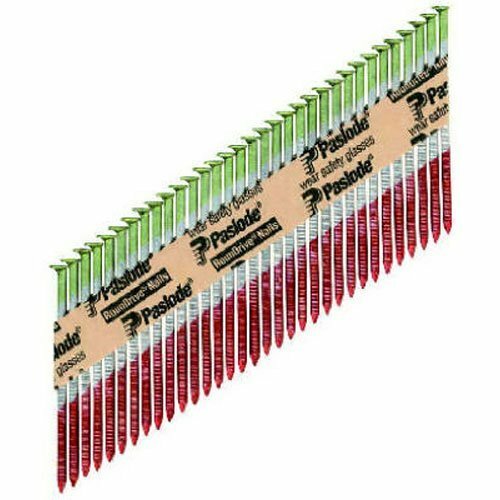 Grip Rite Prime Guard GR04HG1M 21 Degree Plastic Strip Round Head Hot Dipped Galvanized Collated Framing Nails, 2" x 0.113"
Hot Dipped Galvanized to meet or exceed ASTMA 153 Class D.
For use on exterior applications and with all treated lumber. 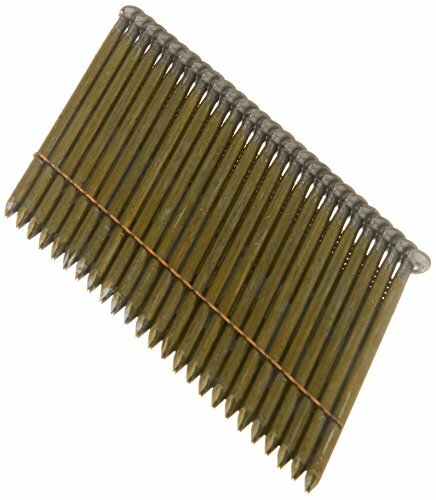 2750-2483 Features: -Full round head nails for metal connector applications.-Diamond point style.-Smooth shank.-Fits Paslode 5250/65G PP, Hitachi NR 65 AK.-Fits Bostitch F33PT, MCN-150, and MCN-250.-90,000 PSI bend yield.-1-1/2'' x .148'' x 35.-100,000 per box. 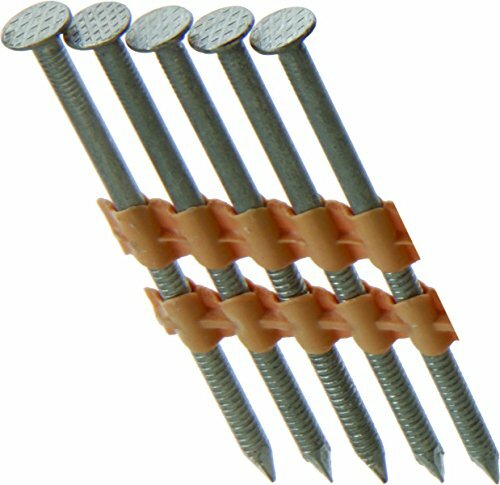 Grip Rite Prime Guard GR08RHG1M 21 Degree Plastic Strip Round Head Exterior Galvanized Collated Framing Nails, 2-3/8" x 0.113"